Commissioner District 4, Suzanne Mulvehill, is a strong force for positive action. In the first two months after her election nearly two years ago, she initiated the exit from the debilitating Florida Municipal Power agency (FMPA) electric contract. She worked closely with the City Manager, Susan Stanton, in order to save three and one half million dollars by negotiating the termination of the Palm Beach County water "deal." Because of that action, Lake Worth is now a provider of water instead of being dependent upon any other municipality for this most precious resource. She voted to retain public control of our beach by ending the illegal contract with Greater Bay after bringing an expert engineer (pro bono) who certified that the present Casino was sound for rehabilitation. The City is now going forward with beach rehabilitations and rebuilding our Casino, her original campaign promise. She is our most pro-business commissioner; she understands marketing; she travels at her own expense to promote sister cities and encourage tourism from Europe, particularly Poland and England. In short, we are fortunate to have such a brilliant and committed Commissioner who is watching out for the interests of all Lake Worth residents and is one who listens to and votes for the people. Christopher McVoy, Candidate for Commissioner District 2, was appointed to the Governor's Commission for a Sustainable South Florida because he is recognized as a water and energy generation expert. He reviews the contracts of the South Florida Water Management District before they are signed to see that the Districts interests are protected. He sees issues in depth. As an expert in water, electricity, and contracts, he will protect the citizens' interest from the dais. He has varied expertise and will avoid the hiring of "experts," thus saving the millions of dollars our City has spent on expensive studies in recent years. Citizens Come First highly endorses the above two candidates for election on November 2, 2010. We Support Amendment 4 and ask everyone to vote YES. I have met with many of you during campaigns over the last eight years. 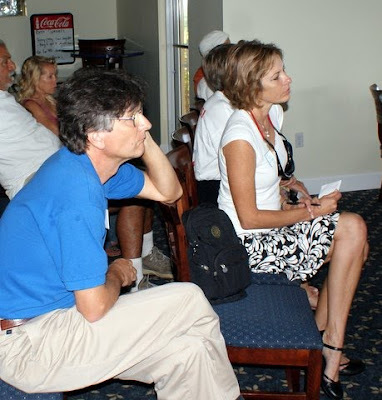 Your supportive attitudes and intelligent insights convinced me that I want to represent you as Mayor of Lake Worth. In the coming months, I hope to meet with you to hear your concerns and ideas about making Lake Worth a more thriving, vibrant and caring community where we enhance our assets and transform our liabilities into strengths. As a longtime homeowner and neighbor in our community, I have been an active guardian of our historic downtown, public properties and parks, and particularly our priceless waterfront areas which made many of us choose Lake Worth over other communities in Palm Beach County. Lake Worth has turned a positive corner. The majority of residents envision what we can achieve by working together to be a much more important focus than allowing issues to divide us. Please take a few minutes and visit my campaign my web site. If you have any questions or suggestions, please e-mail or call me and I will respond quickly. Please reconsider your reported support of SB 360. We cannot develop our way out of the overdeveloped inventory that continues to devalue our original housing stock, in addition to devaluing the empty and foreclosed units themselves. One definition of insanity is doing the same thing over and over expecting a different result. To add more units would lower the taxable value of existing units, defeating the alleged purpose of creating an environment easing development- to increase the tax base. In addition it will diminish our quality of life by overcrowding, destruction of natural areas, and strain on our fragile water resources. We trust you will protect what is left of the Florida that brings both tourism and a desire for homeownership in our state. 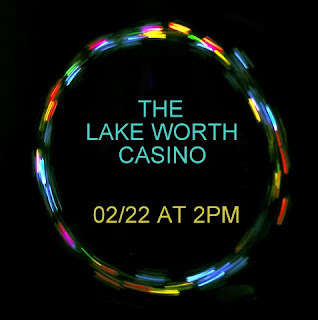 Because the circle is a universal symbol of unity and wholeness, we are circling the Casino to show our support for restoration not demolition and to preserve our past. Citizens Come First supports the current zoning at Lake Worth Beach, Public Recreation and Open Space. It is our desire that the casino, originally constructed in 1922, be restored. There is a special workshop meeting on January 27, 2009 at 5:30 at City Hall to discuss the options. I have been closely involved with beach redevelopment since 2001 and in touch with the citizen’s desires from that time forward. I have spoken to large numbers of citizens during many petition drives. In 2002, there was significant sentiment against commercialization of the beach and that has increased as years have passed. Because of the confusing ballot language of Item 3 (we wanted our chiefs to reside in the City by Charter), it lost by 21 votes. To preserve democracy in Palm Beach County" includes extending the right to vote on comprehensive plan changes to the citizens themselves. After all, these very citizens paid for and participated fully in the creation of the comp plans to ensure their communities allow only the type of development they envisioned during the 7 years following the acceptance by the DCA of this outline of their desires.